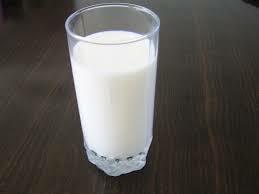 Adults and children alike need to have their daily dose of milk. Drinking it not only helps to develop growing kids, but it protects adults against bone diseases and periodontal disease as well. Time and time again, the benefits of milk and other milk products are praised for their role in protecting teeth and gums. The rave and praises are all worth the commotion though. Several studies suggest that the proteins and calcium in milk not only make your teeth strong but is also good at preventing periodontal or gum disease. The onset of infection and other complications should be handled immediately and milk can be used alongside your dental routine. Milk and milk products have these certain components that help protect our gums from periodontal diseases. These are mostly protein and mineral based. This is to highlight the stuff that actually plays a role in making your dental health strong. Outlined below are the various chemical compounds and minerals that deal with your gum problems. Calcium. Children and adults that eat or drink milk and milk products are observed to have fewer cases of gum disease compared to people who don’t. Studies show there is a direct link between calcium deficiency and periodontal disease. Calcium in milk and dairy products repair damaged and eroded tooth by enforcing the tooth’s enamel and protect it by keeping it strong. The bones and tissues in your jaw need calcium to be more compact and strong. This prevents periodontal disease and the likelihood of teeth to be loose. This prevents tooth loss and dental caries. Caseins. This is found in milk protein that gives amino acids and has bioactive peptides that fight bacteria and promotes cell growth. It is released when milk is digested. It creates a film on your enamel that serves as your protection against plaque sticking on your teeth. Lactoferrin. Lactoferrin stops the bacteria that cause plaque formation from clumping and sticking into teeth. This prevents demineralization of your teeth and gum disease. Probiotics. There are healthy and unhealthy bacteria in your mouth. With the help of good bacteria, the growth of the bad bacteria diminishes. The growth of bad bacteria determines the likelihood of plaque formation. Thanks to the probiotics in milk, it would be harder for bacteria to form and make a group. The only thing to consider in purchasing milk and dairy products would be the sugar content. The added sugar can make a big difference especially as it outweighs the supposed benefits of milk on your teeth and gums. Always look at labels and consult your doctor on the best options or brands for your current dental health status. Or click here for info about milk’s key essential elements. There’s no better alternative than dental care hygiene and routines to prevent periodontal disease and tooth decay. 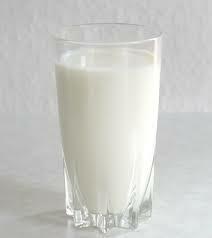 While milk consumption supports teeth growth and development, never forget exercising your dental care regimen. Always brush and floss teeth regularly to make sure that you have optimum dental health.